Home Fitness & Bodybuilding Are Bodybuilding Supplements Really Necessary? Can Women Use Them Too? Exercise, nutrition, and supplements go hand in hand. If you only work out once or twice a week, take your daily vitamins and eat healthy. However, anyone who takes bodybuilding seriously will need supplements at some point. These products will help you get the most out of your workout and put your physique over the top. Bodybuilding supplements increase your energy, promote muscle growth, and speed up recovery time between workouts. These products can make all the difference in the world – at least for beginner and intermediate athletes. Are bodybuilding supplements really necessary for muscle growth and recovery? How safe they are and who should use them? When Should You Start Taking Supplements for Muscle Growth? To choose the best muscle building supplements, you need to understand how they work. Once you’ve got a great workout plan and diet in place, bodybuilding supplements will only enhance your ability to get bigger and stronger. Not even the most advanced products can’t replace or compensate for poor nutrition. Those who are new to fitness and bodybuilding should not start using supplements unless they eat a balanced diet. If you do so, you’ll just waste your money without seeing any progress. First of all, focus on good nutrition and come up with a solid training program. A few weeks later, you can start using supplements. As you lift more and get stronger, your muscles will need more time to recover. Over time, you’ll have higher nutritional needs. In general, it’s quite difficult to get enough protein from food only, especially when you’re working out hard. In addition to basic supplements such as multivitamins and minerals, you may want to take protein, weight gainers, glutamine, creatine, nitric oxide, and other products. Each has a different role. The same product can do wonders for your friend, and have no effects on you. A good example is Tribulus Terrestris. Many athletes claim that Tribulus has increased their strength and performance. For others, it had no effects. Results vary from one person to the next. The only way to find out what bodybuilding products work best for you is by trial and error. 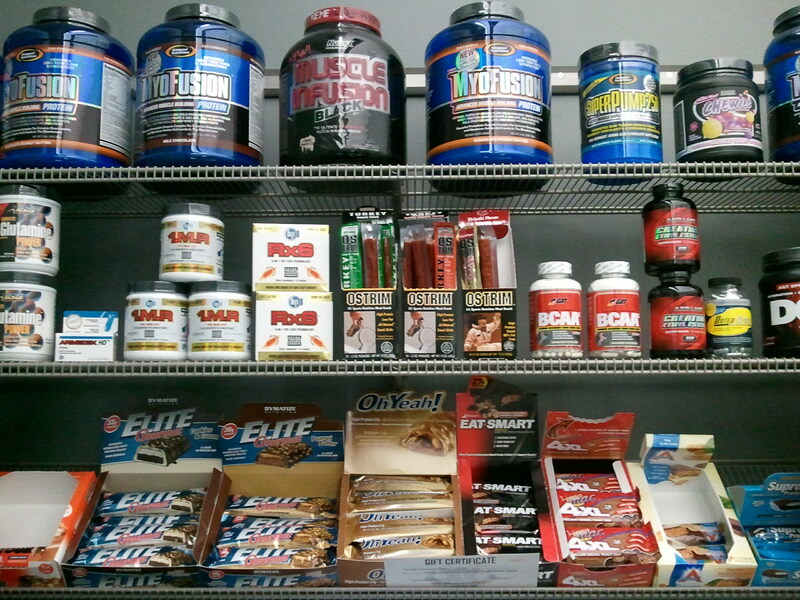 Whey protein, glutamine, BCAAs, and other products are a staple in any athlete’s diet. Each product works differently. Some bodybuilding supplements, such as glutamine and creatine, should not be used together because they get transported to your muscles through the same process, so they cancel each other out. It’s recommended to take these products a few hours apart. Bodybuilding supplements will not only enhance your performance and strength but also improve your body composition. Some can help you lower body fat levels, while others aid in gaining weight. Certain products can successfully replace one or more meals without compromising your nutritional needs. Most supplements are convenient and easy to carry around. Are Bodybuilding Supplements Good for Women? Just like men, female athletes need more protein, carbohydrates, and fats in their diet. Most bodybuilding supplements are good for both men and women. Let’s go back to Tribulus Terrestris. This product boosts testosterone levels, enhances libido, and increases performance and strength. Men and women alike can enjoy these benefits. In women, higher testosterone levels equal more strength and greater muscle development. This is great news for any female athlete or bodybuilder. However, Tribulus Terrestris is an average supplement. Don’t expect huge gains from it! It can slightly increase testosterone levels and help you lift longer, but it won’t cause dramatic changes. So, if you’re a woman, you can safely use this product and any other supplements that are designed for men only. However, you should take a lower dose and be aware of any side effects. Every time you try a new product, start with a low dose and increase it gradually. This is available for both genders. While it is true that more and more companies are releasing sports supplements that are specifically created for women, that’s mostly hype. These products are usually designed for those “gracious” Barbie girls who’re afraid they’ll look like a guy if they lift weights or take protein. To stay fit and gain lean muscle, use bodybuilding supplements with proven results. Educate yourself and read customer reviews to make an informed decision. Don’t buy this or that just because you’ve heard about it from the guy next door.